At Weber & Sons, we know all about the pain, frustration, and challenges that customers can face when they are looking for new home siding. Not only are you concerned about the appearance of your home, but you want something that will be easy to maintain. Selecting the right contractor for the job can seem like a daunting task at first, but with Weber & Sons, you can trust that we will deliver exactly the quality of service you are looking for. 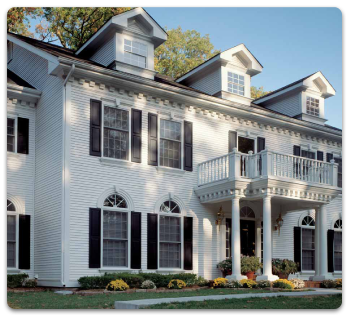 We use the highest quality vinyl material in our home siding to make your home look beautiful. However, just because it is high quality doesn’t mean it will be difficult to maintain. Unlike other materials, the only maintenance our top-quality vinyl siding will need is the occasional washing. In addition, we offer a lifetime, non-prorated warranty, the best in the industry. Our highly trained employees are long-term members of our team who will provide expert attention to detail and quality workmanship. We don’t believe in cutting corners; we believe in doing the best work possible for our clients. In fact, everything that we do for you will be completely supervised by our owners Ralph, Dan, or Dave. With Weber & Sons Windows and Siding, all of the challenges you might expect in new home siding installation will be taken care of by our dedicated team.